After many years of exposure to all types of weather, buildings and parking structures will eventually need cleaning and protective coatings. Building façades gradually become encrusted with atmospheric dirt, mildew and the efflorescence associated with precast and masonry walls. These can have a damaging effect on wall surfaces and almost always detracts from the appearance of the property. Using the latest advancements in equipment and environmentally-safe cleaning materials, Elias Brothers Group safely and effectively pressure cleans all types of surfaces to clean and prepare for coating systems. 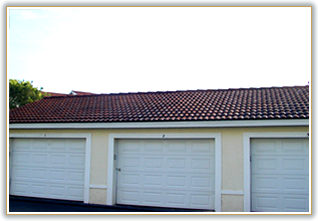 Areas appropriate for pressure cleaning include exterior stucco walls, wood surfaces, soffits, fascias, ceilings, gutters, roof dividers, parapet walls, gables, chimneys, railings, shutters, awnings, vinyl siding, architectural stonework, brick, walkways, stairways, sidewalks, driveways, garages, parking garages and carports. Clean surfaces with a high-volume, high-pressure, commercial-grade water blaster capable of continuous sustained pressure between 1,800 and 2,500 psi, and between 3 and 7 gallons per minute capacity. The tips used will produce a cone or flat fan pattern that will allow cleaning of a variety of surfaces.